Karti Chidambaram's arrest could be an inflection point in the Bharatiya Janata Party's (BJP) attempt to regain the narrative against corruption. For a party which came into power on the back of a promise to clean the swamp and take action against the kingpins behind the UPA's scam-tainted regime, the Narendra Modi government's four-year stint at the Centre has been quite an anti-climactic experience. Political sentiments depend on narratives. And narratives more often than not are built on signalling intent rather than actual progress or a patient approach. It is possible that Karti's arrest was forced by circumstances instead of procedure, but it presents the BJP with the chance to kill two birds with one stone: Regain the anti-corruption mojo and prove that graft breaches generational gap in the Congress. 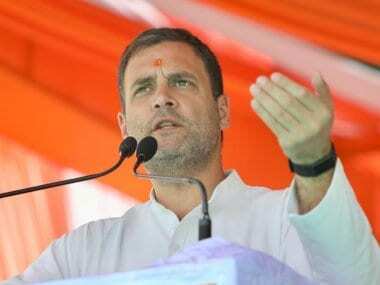 It is largely seen as the BJP's failure that once in power, they have been unable to touch the key political figures in Congress who were the target of relentless attacks leading up to the 2014 parliamentary elections. Though the cases against the Gandhis in the National Herald scam and the VVIP chopper deal have been rolling in the courts and various government agencies have been raiding the properties and residences of former finance minister P Chidambaram, the Marans were discharged, A Raja walked free and an impression was built that the Modi government is either unwilling to rock the boat or not competent enough to pursue the cases. 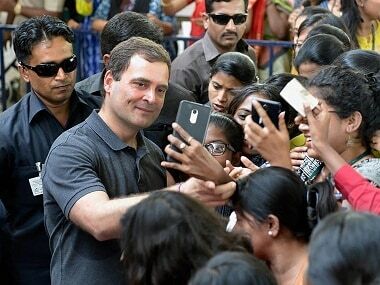 Leave alone the Gandhis, the BJP appears unable to take any action against even Robert Vadra, who was the subject of countless barbs from prime minister-aspirant Modi and was thought to be the lowest-hanging fruit once BJP assumes power. 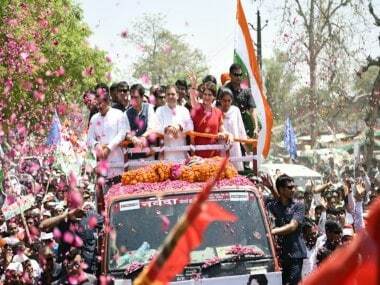 Vadra's "meteoric rise" was the subject of countless media debates, and his proximity and familial ties with the Gandhis made him the prime target of BJP's attacks. Four years since, all that the Modi government has to show for is a CBI chargesheet in the Manesar land scam naming former Haryana chief minister Bhupinder Singh Hooda as the "chief conspirator". The CBI is still opposing the discharge pleas of the Maran brothers, Raja's transformation from "wronged" to "wronged against" is complete, and Vadra has remained untouched, merrily training his guns against BJP in his habitually flamboyant style. Meanwhile, the explosion of the Punjab National Bank scam has compounded BJP's woes. Suddenly, BJP seemed to be losing its rhetorical superiority over the Congress over corruption, and from an offensive approach had to scamper to defend itself. The point about the scam originating during the UPA years was of academic interest. What caught the public imagination is the flight of diamantaires Nirav Modi and Mehul Choksi to foreign shores once they had piled the public sector banks with mountains of unrecoverable loans. Karti's arrest, or so the BJP hopes, would change this damaging narrative. Media reports indicate that Chidambaram's son, who has long been the subject of intense attention from the CBI and the ED, was finally arrested on Wednesday morning on his return from London for FEMA violations in connection with the INX Media money laundering case. According to a report on NDTV, "The ED had filed a case against Karti Chidambaram in May last year alleging irregularities in the grant of FIPB clearance to INX Media for receiving foreign investment of over Rs 300 crore in 2007 when Chidambaram was the Union finance minister." Karti is accused of taking a bribe of Rs 10 lakh in the case. The Times of India has reported that soon after being taken into CBI custody, Karti was questioned at Chennai airport. The newspaper quoted a CBI officer as saying, "We have strong evidence to confirm his role in a cheating case." 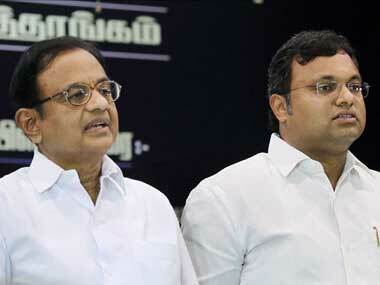 Chidambaram's defence has been on expected lines. 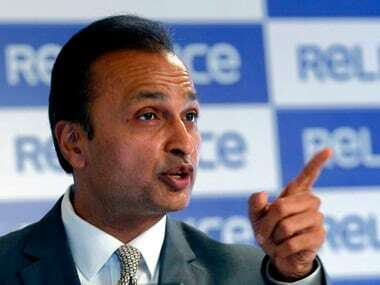 According to TV channels, in a media statement, the former Union finance minister claimed that his son was victimised because he had been writing columns in newspapers against the government's misdeeds, and that it is part of the BJP's larger agenda to "silence critics". He has reportedly also moved the Supreme Court against his son's detention. The case is for CBI to prove, and the BJP would be aware that the agency's track record is less than convincing. Even so, the arrest may serve a crucial purpose for the BJP in sending a message to its core voters who had become restive on account of "inaction against Congress" on the corruption front. It also pushes Congress, which had been batting on the front foot believing that it has found in PNB scam an issue to nail the BJP, on the defensive. Keen to not let go of the initiative, the Congress has mounted a spirited defence that could also double as an attack. The party has accused the BJP of "trying to distract public attention from PNB scam" and called it a "classic diversionary tactic". Modi Govt continues it's vendetta against Sh. P. Chidambaram. Won’t deter the Congress from bringing the truth to the people. Finally, the timing suggests that the government was worried about facing a barrage of criticism when second half of the Budget Session gets under way. Karti's arrest, which the BJP has already touted as a "zero tolerance towards corruption" and an "indication of the rot within Congress dynasty" gives the government a much-needed handle against Opposition aggression in Parliament. Game on.